Our Melbourne based technicians are fully trained to assist you with your carpet cleaning requirements including stain removal. We have up to date and efficient machinery, and include FREE deodorising with each carpet cleaning in Camberwell and throughout the entire city. 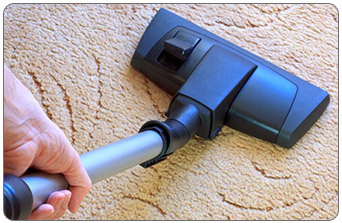 In Need of Carpet Cleaning Company in Melbourne? So if you’re looking for professional carpet cleaning in Melbourne that delivers exceptional results, you’ve come to the right place. Our technicians are highly experienced and have the expertise to tackle all kinds of dirt, spots and stains. Whether your floors are showing signs of wear, or you need specific stains such as red wine, pet urine, or coffee removed, we’re one of the most trusted carpet cleaning companies in Melbourne and we can help you out. Our steam and dry carpet cleaning services in Melbourne can work magic on all kinds of carpet fibres. That said; before we carry out any carpet steam cleaning job in Melbourne, we pre-test all fibres for colour-fastness to establish what the best method of cleaning would be. Melbourne resident who are looking for ways to keep their carpets in optimum condition will find that there are plenty of carpet cleaning products available in the shops and department stores. There are just as many and companies offering carpet cleaning equipment for hire. Whilst all of these products and services are useful when it comes to keeping on top of regular carpet cleaning, there’s nothing that’s more effective than investing in professional carpet cleaning by hiring Central Home Services, one of the most trusted carpet cleaning companies in Melbourne. Apart from the convenience of having an experienced professional clean your carpet, you’ll also benefit from having the very best carpet cleaning products available applied to your carpet using state of the art equipment. The result will be a carpet that has been more deeply and thoroughly cleaned than it could have been by any shop-bought cleaning product or hired equipment. And the benefits of having such incredibly clean carpets extend far beyond having the ability to impress your friends and family and the comfort of living in such a clean and fresh environment. Your health and wellbeing will also be enhanced, as even the cleanest carpets usually conceal trapped dust and other nasty’s that get kicked up into the air you breathe every time you walk across them. When you’ve had your carpets professionally cleaned, you’ll have the peace of mind that comes with knowing that all these unpleasant guests will have been completely eradicated from your carpets. And, as a result, the air you and your family breathe will be a lot cleaner and a lot healthier. When considering investing in professional carpet cleaning in Melbourne, price is often something that is of great concern to people. Many people falsely assume that professional carpet cleaning comes with a hefty price tag when, in fact, nothing could be further from the truth. Both steam cleaning and dry cleaning services are available at Central Home Services for extremely reasonable prices. In addition, the long-term financial gains homeowners can make by choosing to have their carpets professionally cleaned always far outweigh the initial outlay. Rather than investing on a semi-regular basis in expensive shop-bought carpet cleaning products which don’t ever provide the results you’d like to see, an annual deep clean by a professional carpet cleaner will make it far easier to keep on top of your carpets over the course of the year. Consequently, you’ll be able to ensure that your carpets remain in top condition without needing to regularly spend money on new products in your constant struggle to remove a stubborn stain or deal with a recurring odour. And because Central Home Services’ carpet cleaning Melbourne price includes as standard the application of a carpet protecting substance, you can rest assured that you’ll find it easier than ever to keep your carpets in top condition without having to spend vast amounts of money on new products and equipment. After testing your carpet(s) to determine which cleaning method is best, we’ll get to work and rid your floor of stains and hidden dirt and dust mites, leaving it looking great, feeling hygienically clean and smelling fresh. Hiring Central Home Services in Melbourne for carpet steam and dry cleaning will ensure that you get the kind of results you’re looking for. We offer both steam and dry cleaning. Your carpets will be dry enough to walk on immediately after we finish. One of our technicians will discuss your stain removal service with you and advise you of the best method for treatment. When you need expert carpet cleaning in Caulfield and all over town, call our experienced staff members. We can help eliminate any bad smells or odours with our professional sanitising service. Sanitising your carpets and upholstery will assist in neutralising the odour and leave a pleasant neutral scent. We specialise in removing odours including: pet odours, urine odours, vomit odours, flood damage, mould & mildew etc. 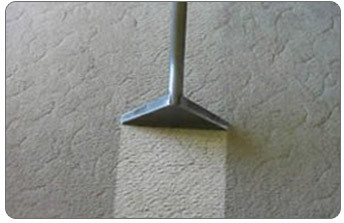 Our carpet protection service will help prevent stains and soils from adhering to your carpet. When you need carpet cleaning in South Melbourne and around Melbourne that can assist in keeping your carpets in top condition for a longer period of time and preserve their appearance, come to Central Home Service. Combined lounge and dining considered as two rooms. Prices quoted on the telephone are for standard clean only.